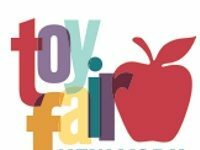 The 114th North American International Toy Fair – the largest toy show in the Western Hemisphere – is an EXCLUSIVE event for trade guests and media only, who will get to test out hundreds of thousands of brand-new playthings and show viewers this year’s coolest toys before they hit store shelves. Our coverage will begin Saturday, February 18th. The Hasbro media event begins at 1:30 PM EST.